Coalition served first legislative defeat after coordinated opposition MKs rush into Knesset plenum moments before vote on Yesh Atid bill. Prime Minister Binyamin Netanyahu's government was served its first legislative defeat in the Knesset on Wednesday, thanks to a sneaky political maneuver from the opposition. Put forth by Yesh Atid MK Karin Elharar, the bill calls to restrict debt collection to the city or town in which the debtor lives. Forty-six MKs voted in favor, while 45 voted against. Prior to the vote on a preliminary reading of the bill, the coalition warned it was opposed, in alignment with the Ministerial Committee for Legislation, which had shot down a previous proposal. The bill passed, however, as a result of a collaborative effort by opposition MKs, including Merav Michaeli (Zionist Union), Ofer Shelah (Yesh Atid) and Ahmed Tibi (Joint Arab List). To stupefy the coalition, opposition MKs intentionally lost the vote on the previous bill - and then, to give the impression of disorganization, a number of them subsequently left the Knesset plenum. Moments before the electronic vote on Elharar's bill, the MKs rushed back into the plenum and voted. 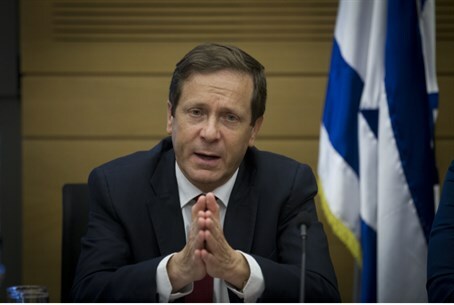 Elated was opposition chairman Yitzhak Herzog, who called the vote "a surprising parliamentary move," tweeting it signified "another surprise for the Prime Minister."